Our February through May volunteer rotation begins on Sunday, February 3rd. If you need it, here’s some help with navigating Planning Center’s Services app so you’re ready to go! If you’re able to serve all of the dates for which you’re scheduled, you can just click the Accept All button and you’re good to go! 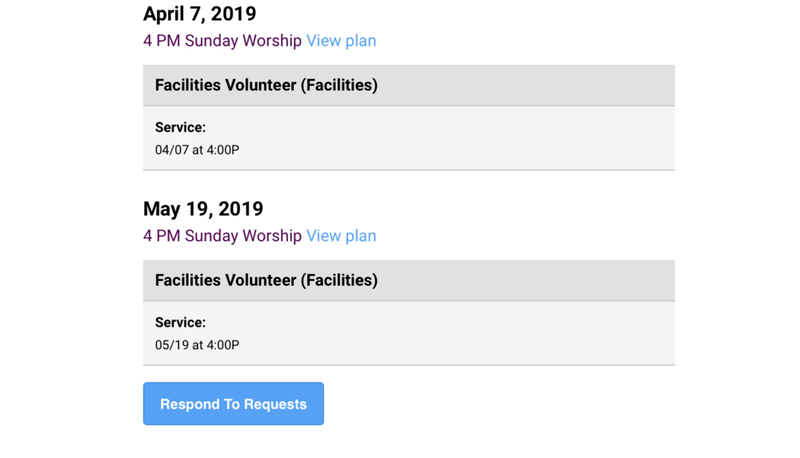 If there’s a date you can’t serve, click Decline—and then take a look at the full volunteer schedule for the term to figure out a swap with another volunteer. To view the term’s schedule, click on Plans in the top navigation. Click on that arrow next to “Load from City Church of Richmond.” Select 4 PM Sunday Worship. From there you’ll set the parameters of the Matrix; this will determine how many weeks of the term you’ll be looking at. Setting it for 20 will cover the February through May term. It might take a few seconds for the weeks/plans to load in order. From there you can browse the schedule and find out who might be able to swap with you. Once you sort out the swap, notify your team leader so the schedule can be updated. Please note: we need to make sure swaps are reflected on the schedule so 1) reminder emails are sent to people on the weeks they’re serving and 2) we’re able to work from an accurate picture of who served last when we make our next volunteer rotation. Planning Center has made a great update to the Services app with changes to the My Schedule page. There you can find all of the dates you’re scheduled to serve, block out dates, track communication, and email your team leaders—all in one spot, right where you can find it. 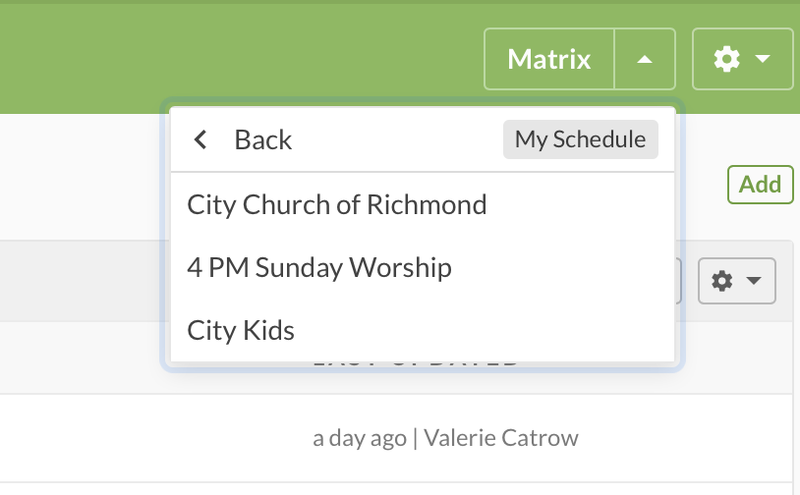 If you need any help at all with the Services app, please email me: val@citychurchrva.com. I’m happy to walk you through it!